The Settlement Centre Waikato helps newcomers pave their way to a successful settlement in Hamilton and the Waikato area. The Settlement Centre Waikato initially operated under the name ‘Multicultural Centre’ at 2 Knox Street, Hamilton City Centre. 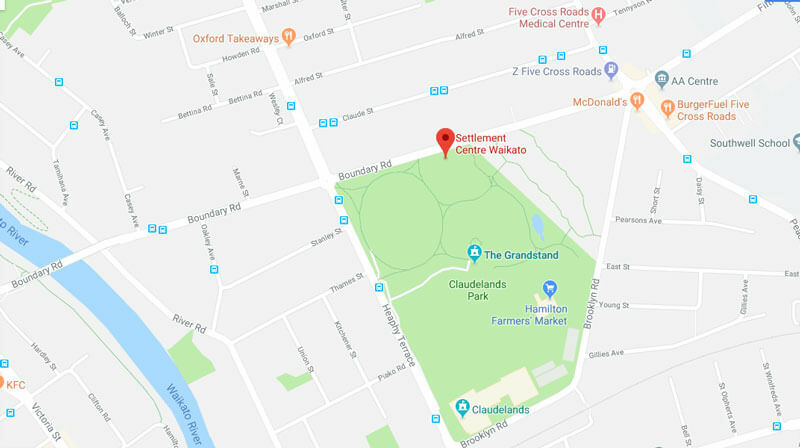 The history of the Settlement Centre Waikato is a project of the Hamilton Multicultural Services Trust (HMS Trust) which was established as a Charitable Trust in February 1999 in order to provide a range of services designed to assist newcomers to the Waikato region. Initially Interpreting Services were needed to assist refugee and migrant communities with language barriers. At that stage the HMS Trust operated mainly as a not-for profit organisation offering interpreting and translations. In October, 2004, the Trust moved into the Settlement Centre Waikato on 46G Boundary Road at Claudelands Park. It was officially opened on 19 March, 2005 by the Hamilton city mayor Bob Simcock. 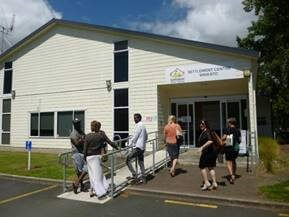 The Settlement Centre Waikato is operated through a partnership between the HMS Trust and the agencies co-located in it. It is a community and service centre for migrant and refugee communities and anyone new to Hamilton. The Centre can be used for community and group meetings, celebrations and other ocassions. The Settlement Centre Waikato is a hub for ethnic communities and also operates as a Hamilton Community Centre supported by the City Council. Newcomers from anywhere in the world will find their contact with the Settlement Centre Waikato invaluable. The Centre offers free information and referrals for service providers and local organisations. Most services at the Centre are offered free of charge. We welcome everyone to get in touch with us to find out more about how we can assist you. The following agencies work independently and collaboratively to assist migrants, newcomers, employers and the local community.